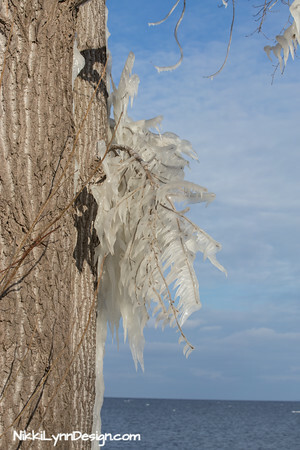 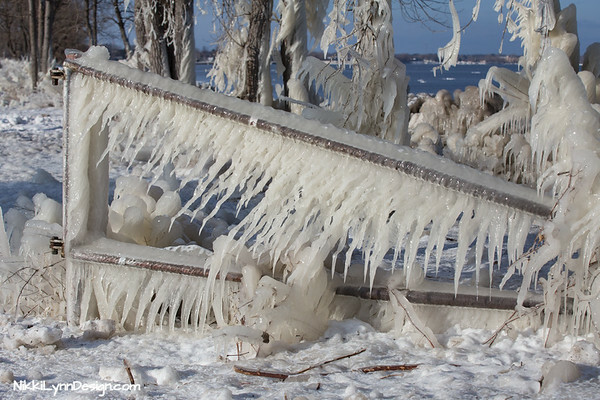 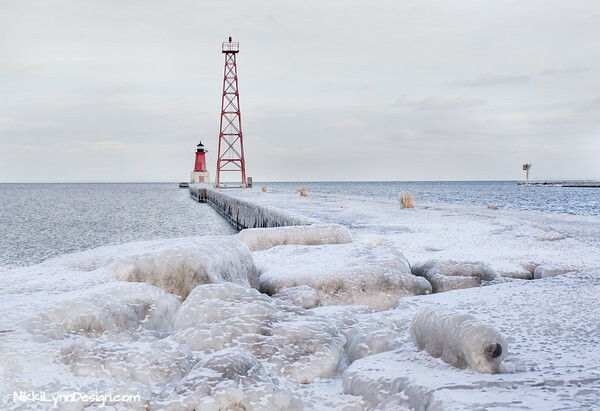 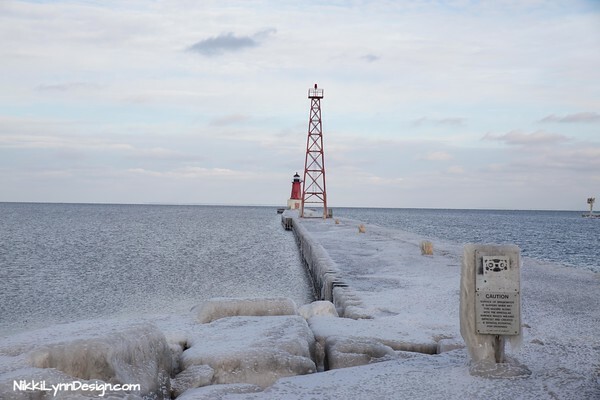 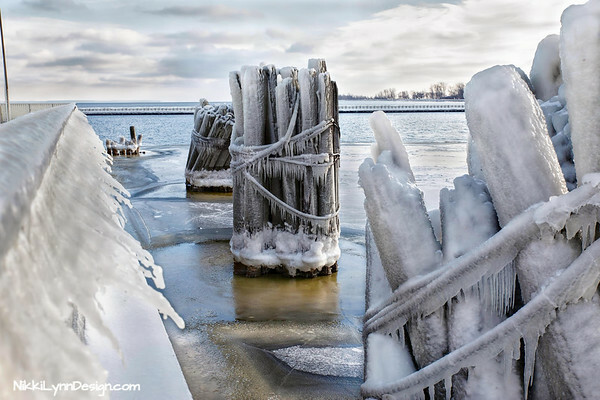 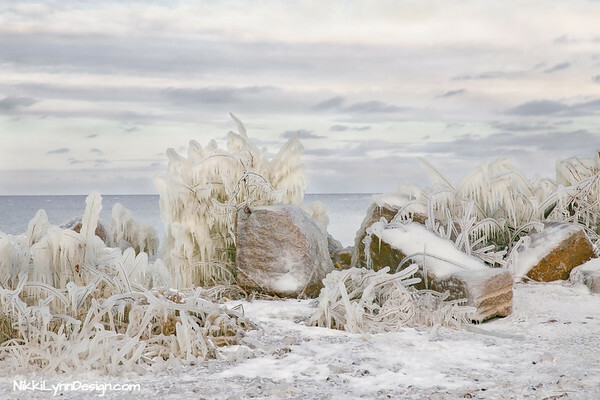 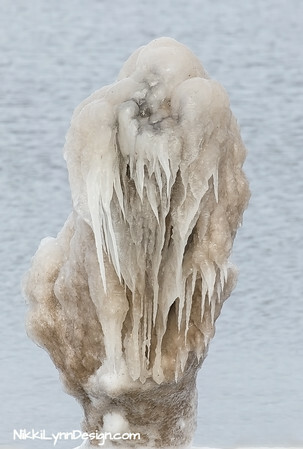 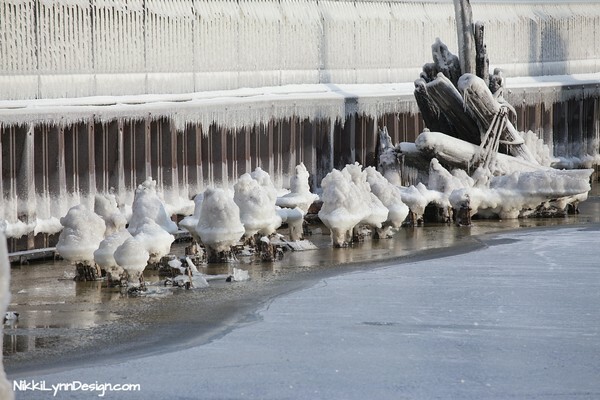 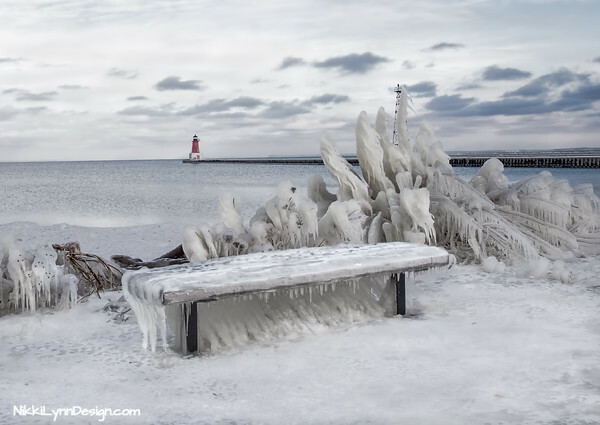 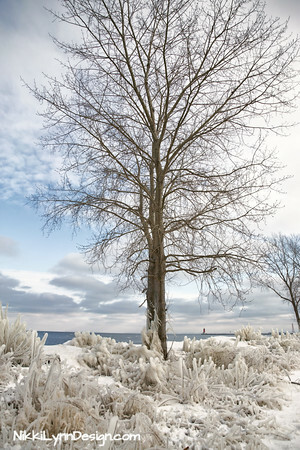 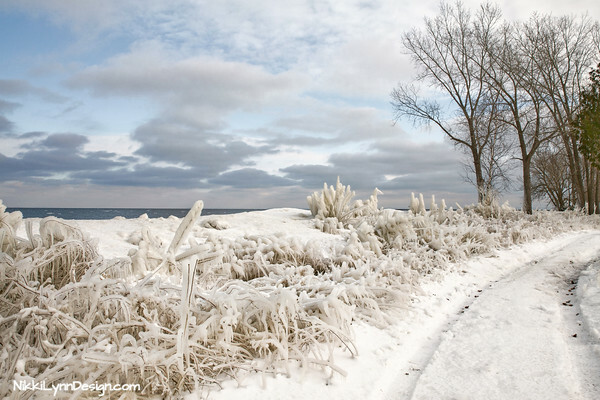 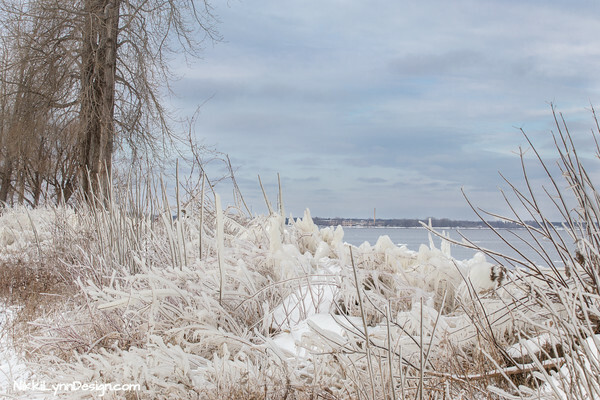 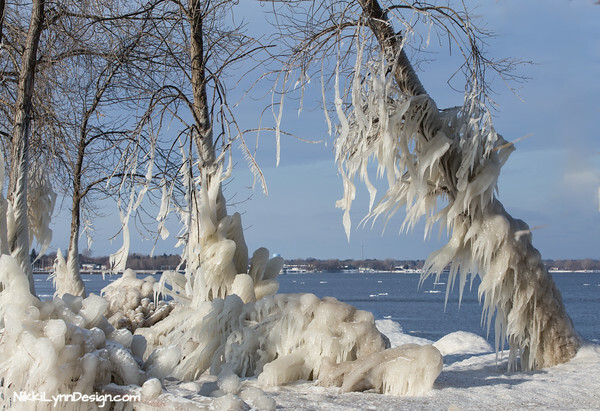 Everything around the lakeshore was encapsulated in ice. 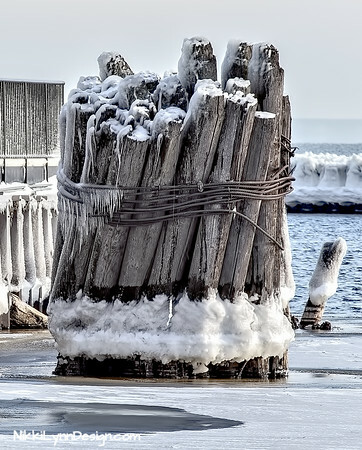 Pier in Michigan. 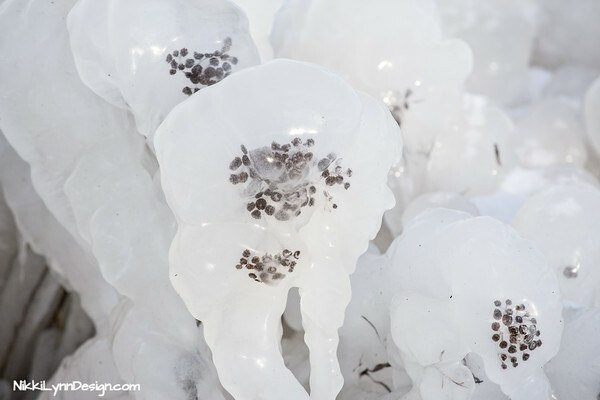 All decked out in icy goodness.